Twelve Jyotirlingas hold great esteem since the ancient times. Puranas give elaborate writings on these twelve Jyotirlingas. By reciting the name of these Jyotirlingas, a person can purge all the sings and the person becomes calm, pure and peaceful. Worship of a Shivlinga is measured as the ultimate worship for Lord Shiva devotees. The importance of the Shivlinga is that it signifies the magnificent light that is the indication or identity of Lord Shiva. This light or flame is solidified and makes the Shivlinga. This light of Lord Shiva exists in all Shivlinga forms and is important in different places all over India. These are famously known as Twelve Jyotirlingas. It is said that one, who recites this shloka regularly, gets rid of all the sins committed in the Prev Mountains and three are situated in villages. The names of the 12 jyotirlings are Somnath, Mallikarjuna, Mahakaleshwar, Omkareshwar, Kedarnath, Bhimashankar, Kashi Vishwanath, Trimbakeshwar, Vaidyanath, Nageshvara, Ramalingeswarar and Grishneshwar. 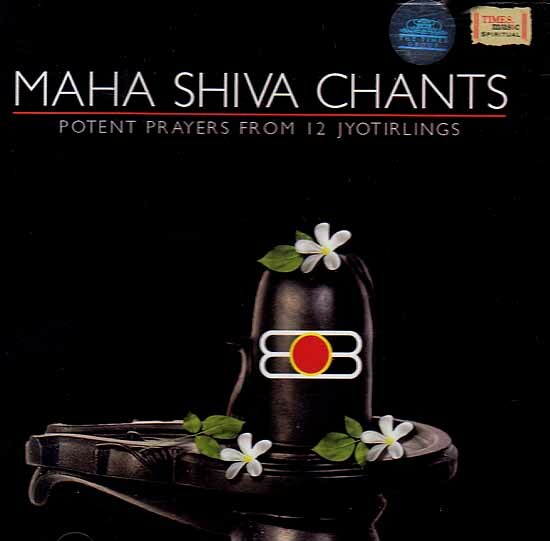 This album Maha Shiva Chants consists of potent prayers from 12 jyotilings such as Dwaadash Jyotirling Stotram written by Adi Shankaracharya, Shiv Panchaakshar, Omkar Bindu Sanyuktam, Dwaadash Jyotirling Smaranam, Shiv Naamaavalyaashtakam Maha Mrityunjay Mantra, Shiv Aarti & Shiv Dhun. Himanshu Bhatt, Arun Ingle, Mani & Alap Desai.